Apple CEO Steve Jobs likes to compare the Mac platform's transition to OS X to the face of a clock, with each month since the operating system's March 2001 release representing an hour. At July's Macworld Expo in New York, for example, Jobs said Apple was at 4 o'clock in the transition, while the release of the OS X 10.1 update in September marked the 6 o'clock halfway mark. The metaphor provided Apple with a way to chart OS X's progress as more Mac users embraced it as their default OS. For Apple, the OS X clock has struck high noon. Sunday marked the first anniversary since Apple rolled out its next-generation operating system amid much hoopla. So after 365 days of an Aqua-fied interface, Carbonized applications, and preemptive multitasking, just how well are Apple and Mac users faring with OS X? Apple has to consider the first year of OS X a success. The company released a series of updates throughout the year -- the most important being OS X 10.1 -- that have improved the operating system's overall performance and stability. From small developers to major players such as Adobe and Microsoft, Mac software makers have been largely supportive of the new OS, coming out with native versions of their applications that take advantage of OS X's benefits. Apple can even point to a handful of developers -- most notably Alias/Wavefront, the makers of Maya -- who are now developing software for the Mac platform specifically because of OS X. To be sure, plenty of work still lies ahead for Apple. OS X needs further updates and refinements. Several key apps -- chief among them the QuarkXPress page layout application -- have yet to appear in an OS X-native form. And Mac users who've been reluctant to switch to OS X still must be convinced that the new OS is right and ready for them. Still, that doesn't change the fact that Apple successfully met the twin challenges facing it during OS X's first year as a living, breathing operating system -- to improve the OS through regular updates and to work with developers to ensure the release of native versions of the applications Mac users need. Even Apple would concede that the version of OS X it released a year ago was incomplete, missing a number of features such as DVD playback and CD-burning capabilities. But just getting OS X out the door after three years of talk and development proved to be enough of an accomplishment. 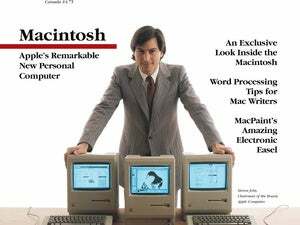 OS X replaced a 17-year-old operating system with a state-of-the-art version powered by Unix. It brought much-needed features to the Mac, such as greater stability and support for symmetric multiprocessing. And the March 2001 release incorporated feedback from Mac users to restore some of the Mac OS 9 functionality missing from the OS X beta. As important as the initial release of OS X was, the September update proved to be just as critical. OS X 10.1, the first major update to the operating system, featured interface tweaks, including an improved Systems Preferences panel, new Apple menu-bar icons, and greater Dock flexibility. The update also allowed OS X to handle PC files and Window file servers in a friendlier way and improved AppleScript support. DVD playback was added, as was the ability to burn data CDs. Most important, though, OS X 10.1 boasted improvements to every part of the operating system, from the virtual memory system to the file system to the graphics subsystems. The result? An updated OS X that clearly performed faster than earlier versions -- and could meet the needs of a wider array of Mac users. At the same time Apple was updating its OS, the company was waiting on Mac developers to optimize their software for OS X. Getting OS X-native versions of popular Mac programs was critical to the success of the new OS. OS 9 applications can run in OS X's Classic mode, but users don't enjoy any of the new OS's benefits. In some cases, the applications run slower in Classic than they would in OS 9. When OS X hit the shelves last March, Apple said there were 356 applications that ran natively in the new OS. Today, that number has swelled to more than 2,500, including some of the most popular applications on the Mac platform. For the past year, Macworld has tracked the progress of 50 key applications in making the jump to OS X. With Monday's release of Palm Desktop 4.0, 36 of those programs are either available in native form right now or will be within the next month. Two other programs - Dantz's Retrospect and Qualcomm's Eudora as OS X-compatible betas, with final versions expected in the coming months. Quark, Macromedia, and Markzware have already committed to producing native versions of their products, as has Adobe with its Premiere editing application. Among the 50 programs on our chart, only Microsoft's Outlook Express and Connectix's CopyAgent have uncertain futures with OS X.
OS X's future is anything but uncertain. Last May, Apple announced that the new OS would come pre-installed on Mac hardware, a move that came two months earlier than expected. At January's Macworld Expo in San Francisco, Apple took the next step -- OS X now ships as the default operating system on every new Mac. For Apple, the past year has been about developing an OS that's stable enough and supported by enough applications to serve as the default operating system for Macs. The challenge for the coming year -- continuing to improve OS X so that it's the unquestioned default operating system for Mac users. Editor's Note: On Tuesday, March 26, Dantz announced Retrospect Backup 5.0, an OS X-native version of its backup and restore software.